Everyone has marketing woes at some point, regardless of the industry you work in. For dealerships and their owners, these are often felt. But challenges don’t have to be insurmountable hurdles. With the right dedication, any challenge simply becomes a problem to be solved, and auto dealer marketing for your lot is no different. Here are four auto dealer marketing challenges and how to overcome them to increase your auto sales. An important crutch of marketing is providing your audience with the appropriate details about your vehicles. But when it comes to selling vehicles, the price can change overnight, not to mention the very stock you have available on the floor can also change quickly. You need an automatic process to keep up and, even then, you’re likely to get stuck advertising information that’s no longer accurate. The right tools for inventory management can be helpful. Stick to providing the information that rarely changes when you’re creating marketing materials such as ads, leaving the information that’s constantly in flux on your website where your tools can keep it constantly updated. There is a lot of information you need to provide a prospective buyer; and the savvier the buyer is, the more information you should be ready with. That can lead to a cluttered website layout. Sure, you figured out a beautiful way to display it, but as soon as someone hops from their PC to their phone—it all goes to muck. How do you keep everything looking top notch on all devices? Building your website to be dynamic focused—i.e., it responds to resizing effectively—is important. When your site is built from the ground up with that in mind, you’re ahead of the game. Beyond that, look at your inventory across devices; is it still attractive? If not, put some time into restructuring the layout. It may take time, but when you hit the right balance, it’ll definitely show. The way people buy cars is changing. Teenagers are holding off getting their licenses (and thus buying that first car), families are sticking with the ride they know and love, and even markets themselves and what people want to see in a car are changing. If you find your stock is moving slowly, don’t assume it’s a simple case of needing better auto dealer marketing. Look to trends in the industry and even trends on your own website. Use advanced data analytics to see where people go first and stay the longest. Start to read what people are interested in and refocus your auto dealer marketing on it. Since the advent of the internet, the way people buy, the way advertisers market, and basically everything people do has changed. People are changing the way they buy cars, which will inevitably have an effect on your dealership’s bottom line. It isn’t all bad news. With the internet, you can now track a person from the first ad all the way through to the purchase—and you should! This will give you data on effective buyer journey routes, which you can learn from and leverage in your next round of marketing and selling. 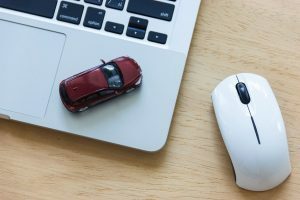 Auto dealer marketing challenges are getting more and more interesting, but with the right technology to support you, you can learn from the changing times and adapt to them, finding success for your dealership in the process.